Bathroom splashbacks need to be steam resistant, waterproof, and grout free. Reflections provide a unique DIY splashback, made from a material especially designed to be 100% waterproof and steam resistant making it ideal material for the laundry or a bathroom wall. Reflections splashback is a new splashback material to the market. Order a free sample to help kick start your bathroom design ideas for your upcoming bathroom renovations. Reflections offer the grout free alternative to a tiled shower recess. Use our bathroom splashbacks as bathroom walls or shower wall panels to protect from steam and moisture. Reflections splashback is the perfect solution for a shower enclosure that stays clean, bright and inviting. Reflections is available in large dimensions that make it easy to create large jointless surface that eliminate mould issues and cleaning headaches generally associated with tile. 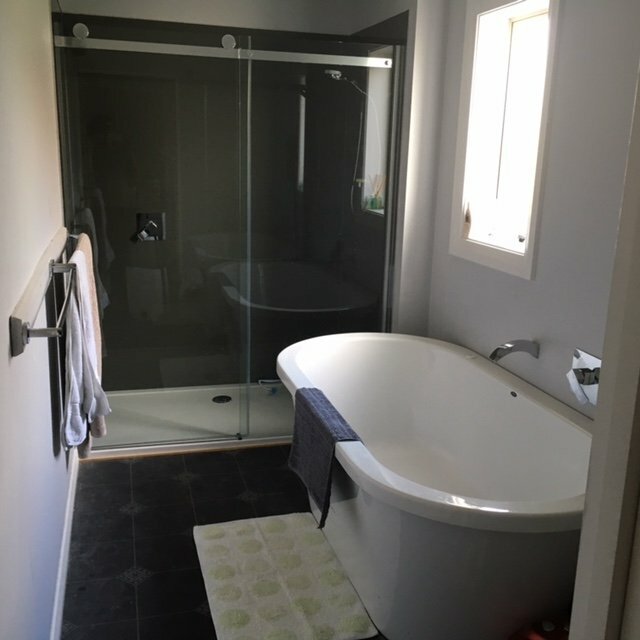 This DIY splashback weighs only 7kg/m2 which makes the manipulation of larger panels simple compared to a glass splashback for your shower enclosure. Our DIY shower wall panels can be installed directly on top of an existing tile wall for an express bathroom upgrade.